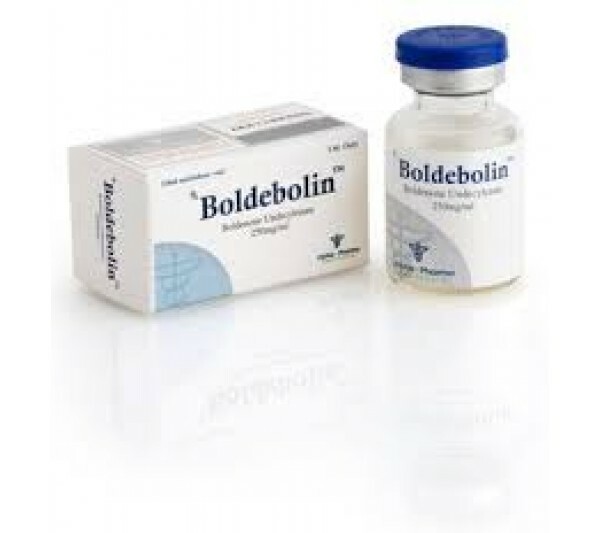 Boldebolin 250 mg (vial) is an anabolic steroid that was originally created for use in veterinary medicine. The drug was created as a similar version of long-acting Metandrostenolone, but in practice everything turned out differently. Later, a steroid was synthesized, which has completely different qualities, despite the chemical monotony of molecules. Boldenone is a Dianabol molecule, which is devoid of the 17-alpha-methyl group (this part of the molecule allows the safety of passing Dianabol through the liver without losing its structure). Boldebolin is often attributed to the properties of Nandrolone - so says the book Dan Duchaine, where the author compares these substances, noting that Boldebolin 250 mg (vial) is more optimal than the "deck". In reality, Boldenone and Nandrolone have completely different mechanisms of action. Nandrolone is considered a 19-nor steroid and progestin, and Boldenone (vial) is also characterized by the properties of testosterone. Boldenone propionate and boldenone acetate have similar results, the difference is only in the duration of exposure. Used by ordinary athletes and bodybuilders. Not suitable for athletes to compete in competitions where doping control is required. Negative reactions occur very rarely, with proper use and compliance with dosages. In cases of their detection, or combination with other drugs to increase results (Testosterone, stanazolol, etc.) it is necessary to use PCT. Recommendations for admission - 1 - 2 times a week for 400-1000mg intramuscularly, a course of 2-3 months. It all depends on what form you are in and what effect you want to get from this. Storage is simple, cool closed place, without lighting.